Insurance protection is part of a solid financial plan. From getting a good rate on coverage for your car to making sure your life insurance is adequate, dependable insurance coverage insures financial relief when you need it. And along the way, you'll take comfort in knowing you're protected. 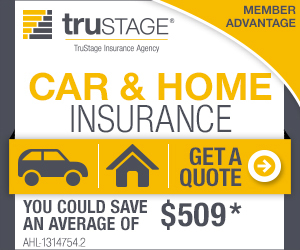 TruStage insurance products and programs help members protect what matters most. Backed by nearly 80 years of working in partnership with credit unions and their members, you'll find products for life, car, long-term care, home and more. TruStage offers information, real value and assurance. And it's only for credit union members like you. To learn more, get quotes or just explore call 1-888-888-0375.